This year, finally, I made it to Perugia journalism festival. Now in its 11th year, the festival has long been spoken of in hushed tones as the place to go to learn out about the latest developments in the media, to discover the coolest new newsroom products and approaches. There were passionate, informed debates about censorship and press freedom in Turkey and hands on advice about how the systemically use Freedom of Information legislation to help the public access information. – I was particularly pleased to see a place on the festival programme dedicated to discussions of media co-operatives. 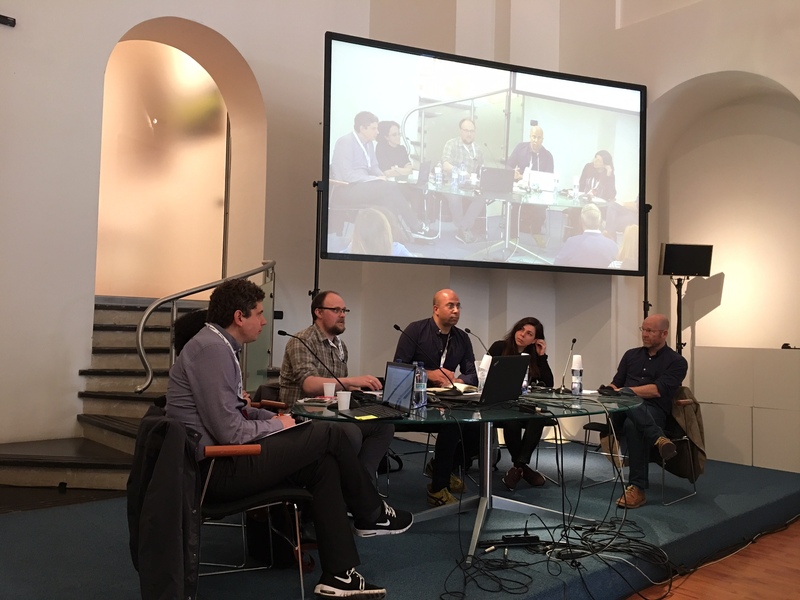 In one session, members of media co-operatives from Egypt, Belgium, the USA and Scotland (yes, the Ferret) examined the opportunities, and challenges, for building reader-owned media. The diversity of approaches to building successful co-op was striking: where the Ferret, for example, has both journalists and reader directors, other media co-ops take a different approach. Some have only journalists on their board, some no journalists at all. There was, rightly, much talk of community building, too. A Canadian media outlet called Discourse Media, is explicitly focused on serving under-reported communities, and in helping to provide solutions to problems. With this in mind, Discourse sends its journalists across Canada, asking people what they want to hear reported on. These ‘engagement roadtrips’ offer one strategy for bringing new voices into our media, something many are still struggling with even amid the new focus on ‘beyond the Beltway’ stories in the wake of Donald Trump’s presidential victory. De Correspondent – a wildly successful Dutch start-up in which readers pay for journalists directly – takes a different approach. Before beginning a new investigation De Correspondent asks its thousands of subscribers what they know about the topic, an approach that has provided dozens of leads and, crucially, helps build the relationship between the organisation and the community it serves. So will ‘community’ save journalism? Maybe. Maybe not. What does seem clear after four days in the Italian sun is that journalism – both small and large – is increasingly dependent on multi-billion-dollar tech companies. In Perugia, I met journalists from some of the most important legacy news organisations in – the Guardian, the BBC, Channel 4, Fortune – but the major sponsors were Facebook and Google. The agenda reflected this: many of the panels were dedicated to ‘fake news’ and online verification. In one sense, this is all well and good. Facebook and Google are the biggest publishers in the world, even though both might disavow the term ‘publisher’. The veracity of the information on these platforms really matters. Both Google and Facebook have invested in media initiatives of late. (Full disclosure: Google has funded the Ferret’s new fact check service, FFS.) Google, in particular, has given more than €150m to media organisations who are not working on its platform. But are there dangers for the media’s increasing reliant on monopoly tech largesse for its future? Editorial independence is an obvious concern, but one that can be overstated. By and large, the firewalls between editorial and advertising have held up in the world’s most respected newsrooms. There is no sign yet that tech companies want to influence editorial decisions. Media outlets are increasingly reliant on these same tech platforms to deliver their content. How, for example, Facebook writes its algorithms has a huge bearing on how many people see a story in their news feed, with knock on effects for the advertising revenue that media outlets still rely on. Companies that barely existed a decade ago are now wealthier than many sovereign states. Is plurality possible when media outlets are so dependent on tech giants, for content delivery, for ad revenue and, for some, for grant funding? There is no shortage of creative new ideas in journalism right now. 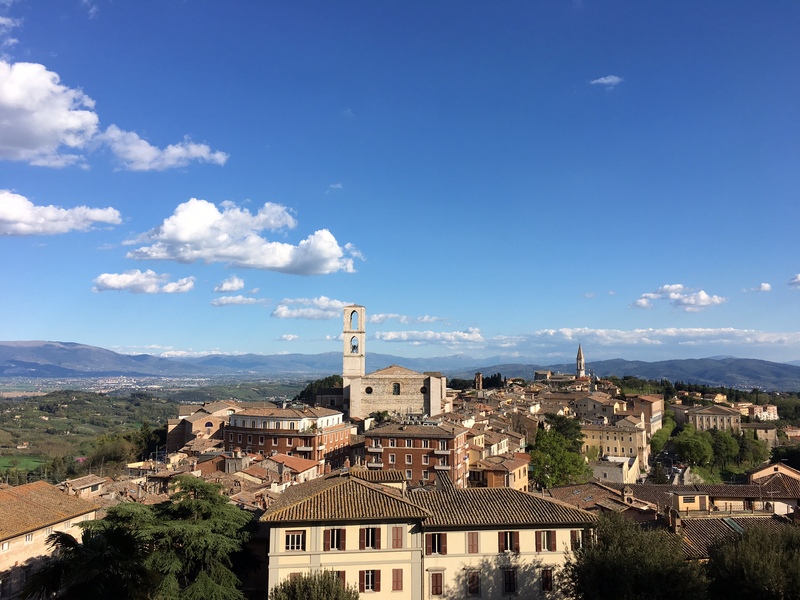 Indeed, at times Perugia felt like an episode of Dragon’s Den set on a panoramic Umbrian hillside, with sharp suited start-ups pitching their ideas with the kind of confidence – and perseverance – normally associated with Silicon Valley. But will these new ideas create alternative media outlets and platforms, or will they eventually be bought out by the dominant market players? Will legacy media organisations have the power to stand up to the Googles and Facebooks of this world or will they be increasingly subsumed? Where will community-owned media fit into this world? So, I leave Perugia with even more questions than I arrived with. Hopefully I make it back next year to answer some of them.